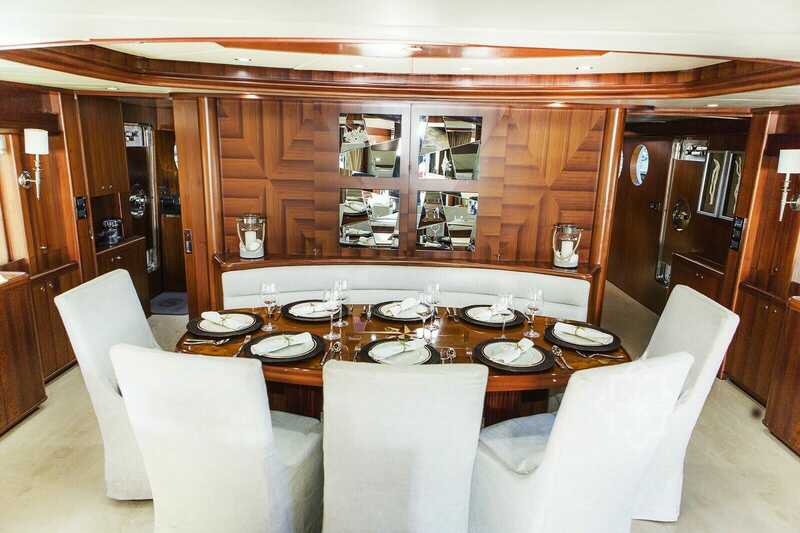 This magnificent 103′ Johnson is categorized in the super-yacht league. 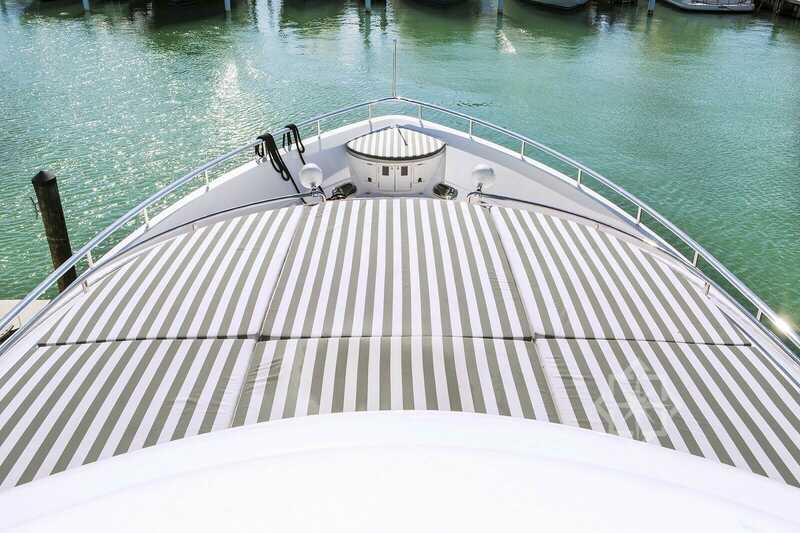 Offering Yacht Charters Bahamas, Miami and Fort Lauderdale. 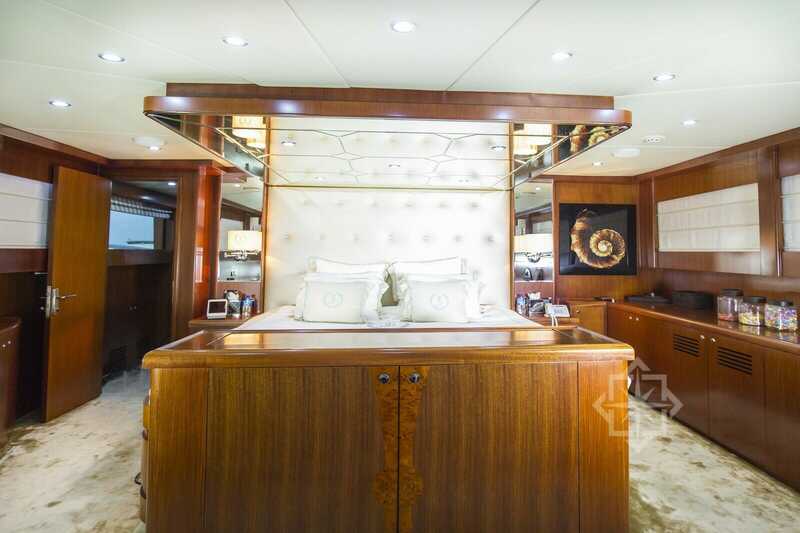 The yacht features a great exterior layout with plenty of areas to relax or enjoy the outdoor entertainment options. 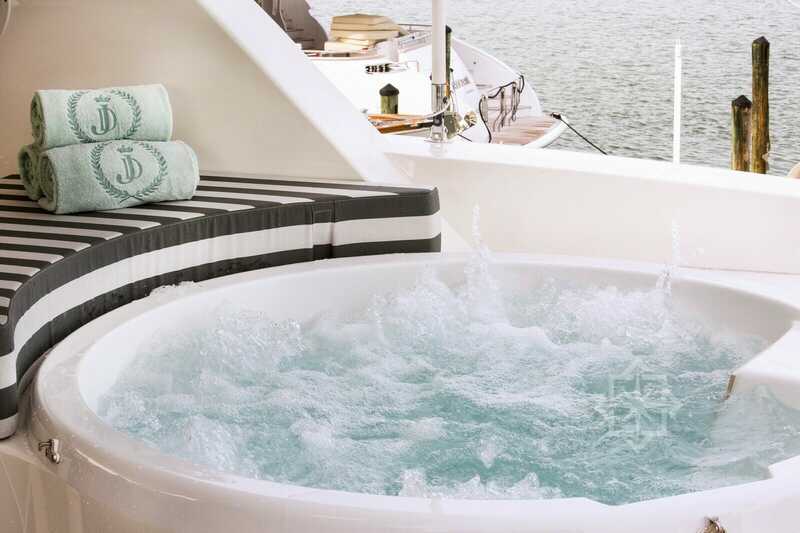 Let your worries dissolve in the Spa. 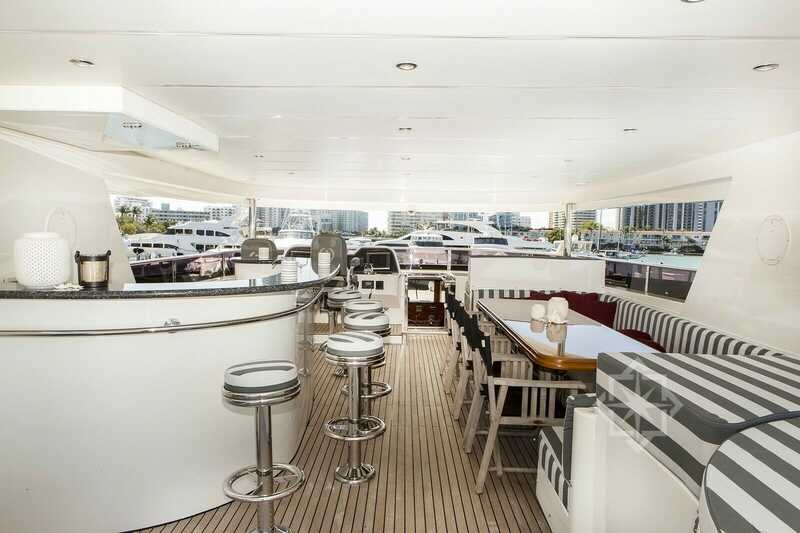 Satisfy your thirst at the full wet bar. Or feast on delights cooked on the BBQ while lounging and soaking in the rays. 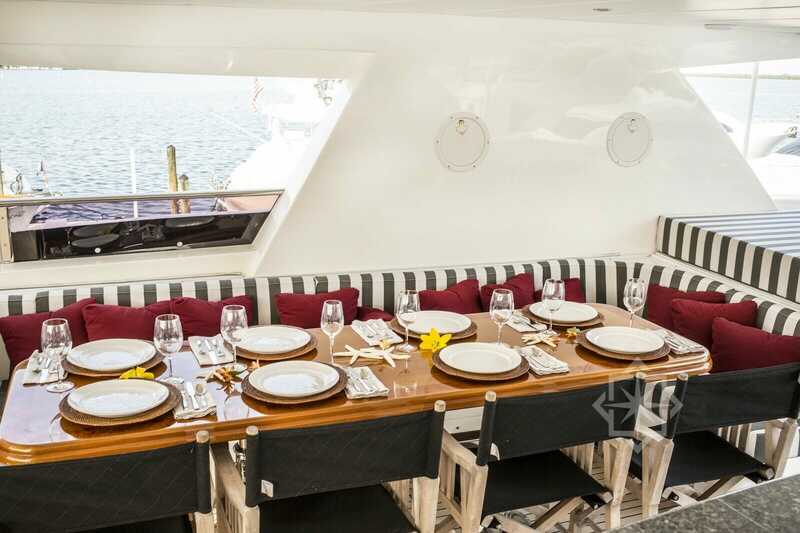 You and your guests will definitely appreciate the Sun Lounges and two oversized sunpads on the stern. Additionally, there are two shaded dining areas which can seat 10. 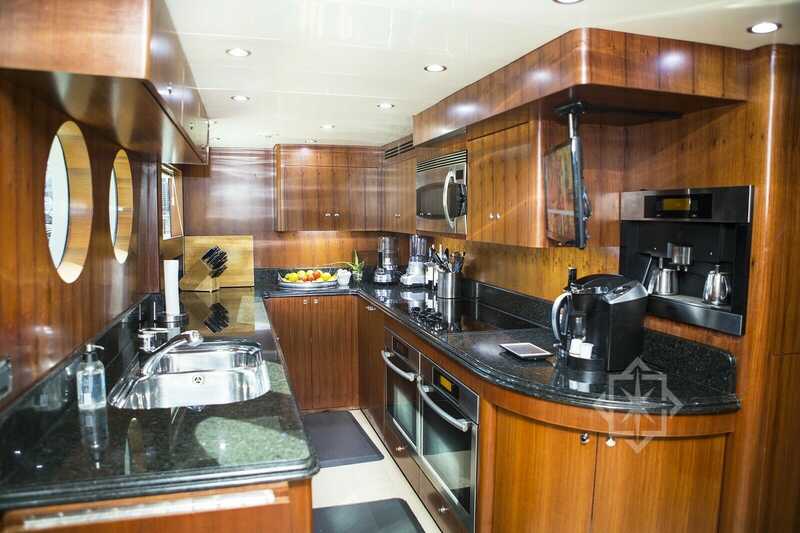 Each area with its own flat screen televisions and a state of the art smart video and sound system. 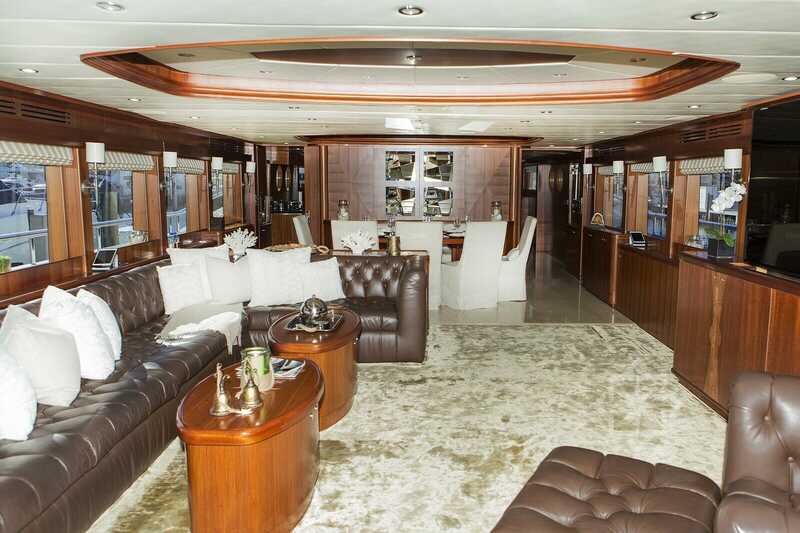 When it comes to the fun factor, this 103′ Johnson Super-Yacht has it all! 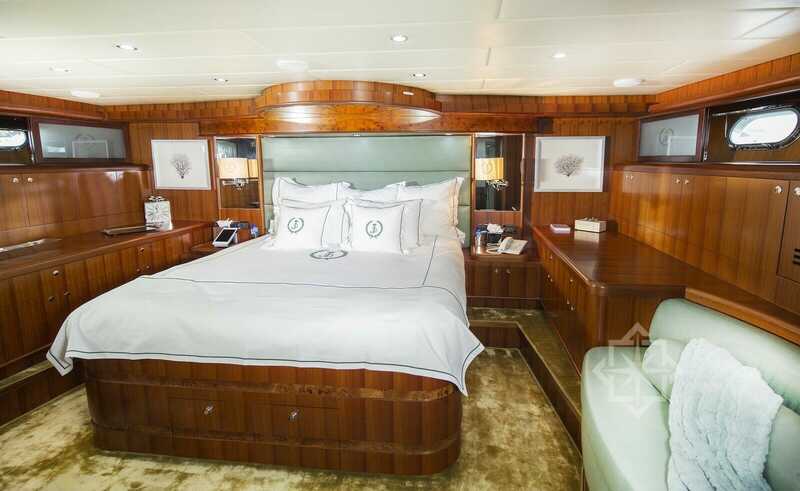 She comes with two waterslides (available for Term charters). Two inflatable trampolines, two turbo jet-skis in addition to loads more water toys! You can even add on a 37’ Yellowfin tender fully stocked with fishing gear (available for Term Charters). Above all, the amazing fact is that she has the amenities of a 5 star resort. Which include robes, luxurious bedding and toiletries. 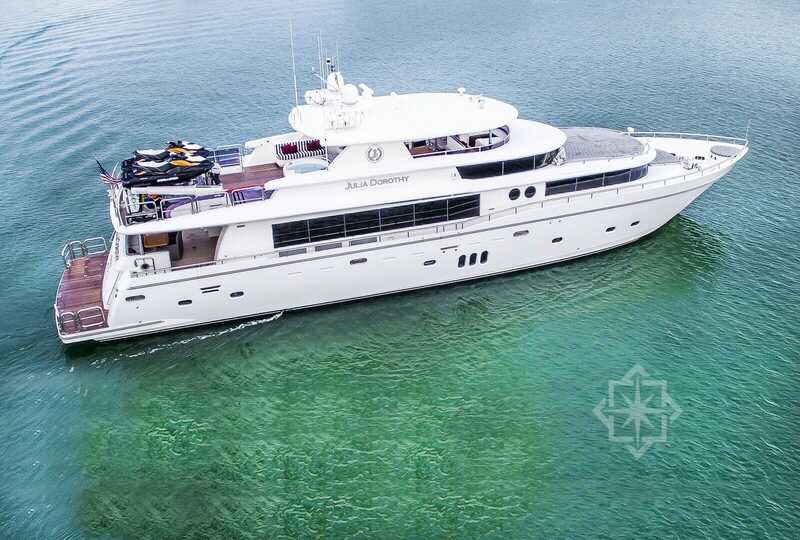 StarLux Yacht Charters Bahamas provides the VIP yacht charter customer with the ultimate experience in luxury, comfort and grace. 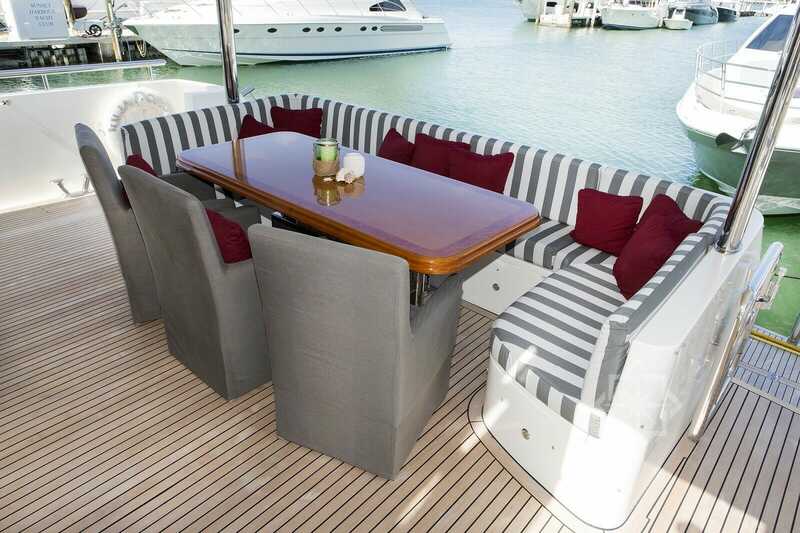 Yacht Charters Bahamas services are tailored to set the right mood through private yacht charter. No detail is overlooked and your complete satisfaction is our primary concern.